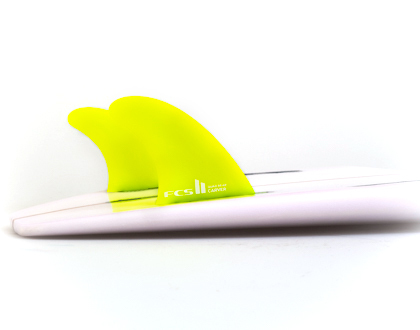 Well rounded large template designed to strike a balance between speed, drive and maneouverability. 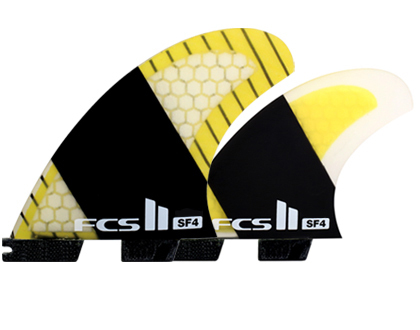 Matt ‘Mayhem’ Biolos’s signature Tri-Quad set for teeth gritting hacks. 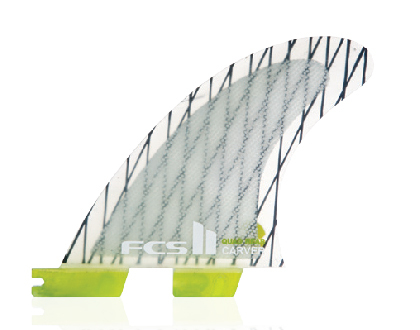 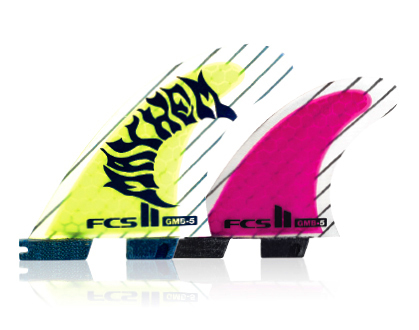 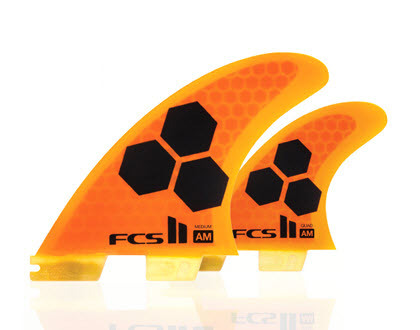 Al Merrick’s tri-quad set allows you to customise the performance of your board. 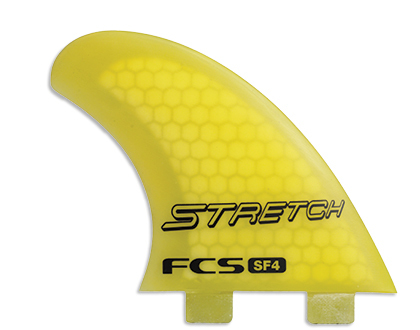 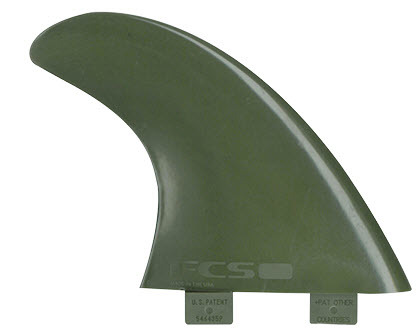 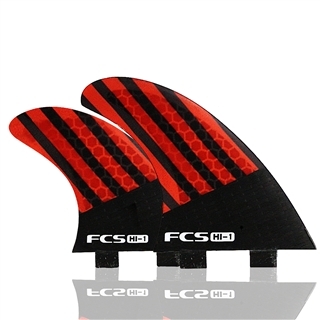 William ‘STRETCH’ Riedel’s shaper fin. 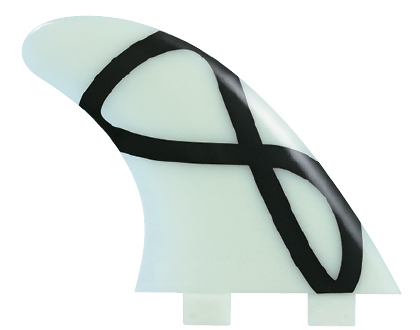 Cambered foil helps to maintain speed and connect turns. 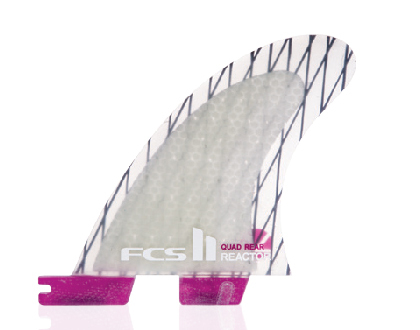 Switch between a thruster for tight turns, and an adaptable quad set offering flow, and response. 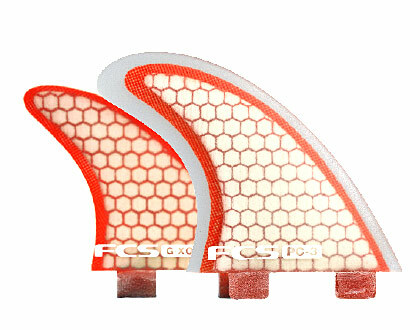 William ‘Stretch’ Riedel’s signature set. 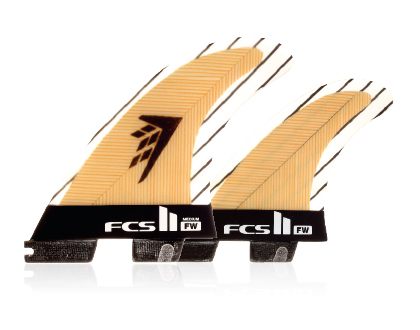 Fast, responsive, and stable at high speeds. 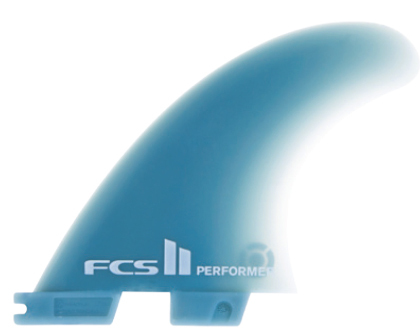 FCS PC-3 in the side paired with FCS GX-Q in the rear.